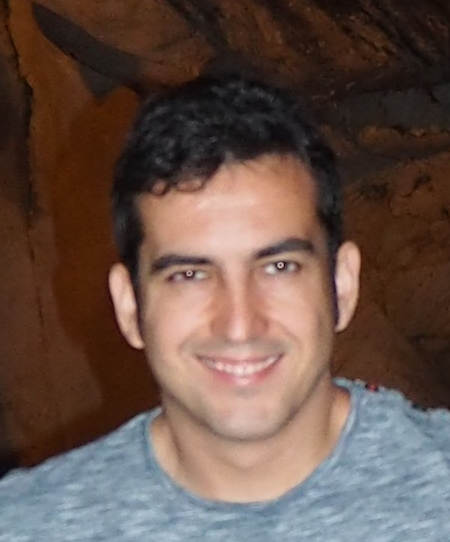 Research Interests:Signal processing and machine learning techniques (mainly deep learning) applied to computer vision and music information retrieval tasks. Bustos, A.; Pertusa, A.; Salinas, J.M. ; de la Iglesia-Vayá, M.
"PadChest: A large chest x-ray image dataset with multi-label annotated reports"
"Multimodal Object Recognition Using Deep Learning Representations Extracted from Images and Smartphone Sensors"
"Learning Eligibility in Cancer Clinical Trials using Deep Neural Networks"
Gallego A.J. ; Pertusa A; Gil P; Fisher R.B. "Detection of bodies in maritime rescue operations using unmanned aerial vehicles with multispectral cameras"
Gallego, A.J. ; Gil, P.; Pertusa, A.; Fisher, R.B. "Segmentation of Oil Spills on Side-Looking Airborne Radar Imagery with Autoencoders"
Gallego, A.J. ; Pertusa, A.; Calvo-Zaragoza, J. "Improving Convolutional Neural Networks Accuracy in Noisy Environments Using k-Nearest Neighbors"
Gallego, A.J. ; Pertusa, A.; Gil, P.
"Automatic Ship Classification from Optical Aerial Images with Convolutional Neural Networks"
Nieto-Hidalgo, M.; Gallego, A.J. ; Gil, P.; Pertusa, A. "Two-Stage Convolutional Neural Network for Ship and Spill Detection Using SLAR Images"
Pertusa, A; Gallego, A.-J; Bernabeu, M.
"MirBot: A collaborative object recognition system for smartphones using convolutional neural networks"
"An End-to-End Framework for Audio-to-Score Music Transcription on Monophonic Excerpts"
Alacid, B.; Gallego, A-J. ; Gil, P.; Pertusa, A. "Oil Slicks Detection in SLAR Images with Autoencoders"
Calvo-Zaragoza, J.: Pertusa, A.; Oncina, J. "Staff-line detection and removal using a convolutional neural network"
Calvo-Zaragoza, J.; Gallego, A.-J. ; Pertusa, A. "Recognition of Handwritten Music Symbols with Convolutional Neural Codes"
"End-To-End Optical Music Recognition using Neural Networks"
Garrido-Alenda A., Gilabert-Zarco P., Pérez-Ortiz J.A., Pertusa-Ibáñez A., Ramírez-Sánchez G., Sánchez-Martínez F., Scalco M., Forcada M.
"Shallow parsing for Portuguese-Spanish machine translation"
Gilabert-Zarco P., Herrero-Vicente J., Ortiz-Rojas, S., Pertusa-Ibáñez, A., Ramírez-Sánchez, G., Sánchez-Martínez, F., Samper-Asensio M., Scalco M., Forcada M.
"Construcción rápida de un sistema de traducción automática español-portugués partiendo de un sistema español-catalán"